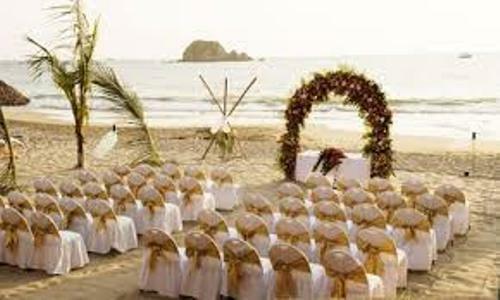 Find out the package when you decide to apply the ideas on how to plan a wedding at the beach. You will be served with the least to the most expensive package. You can choose the least expensive one with simple decor. Since the beauty of the beach can be used as the background. There is no need to exaggerate the venue decor. You just have to go to the reputable hotel or resort in town located near the beach. 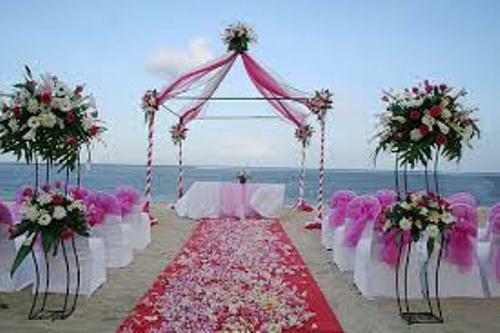 The hotel can help you to arrange the wedding decor on the beach. You do not need to be confused when you want to rent the chair, tables, silver ware, reception venue, catering and flowers. All of them will be prepared by the hotel or resort. But you should never forget to about the marriage license if you decide to get wed outside United States. Decide the decor for the wedding venue. You can use the wedding arch as the background. It can be made from metal, bamboo or wood. If you want to give a tropical look, the bamboo wedding arch is a good option. You can make it flattering by using some white fabric chiffons. Then you can apply the floral decoration along the arches. 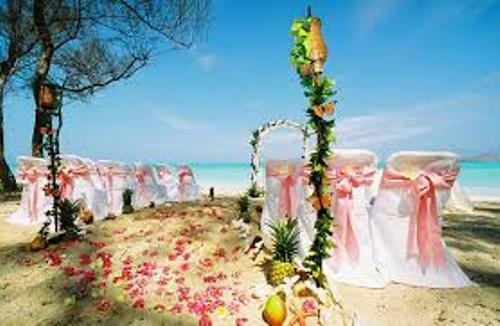 Other types of decoration that you have to define include the beach themed garters, matching unity candles sets, ring bearer pillows, wedding cake and many more. The wedding cake does not have to look intricate due to the windy atmosphere on the beach. Now think about the ideas of the wedding dresses for the bride and groom. Avoid using the thick fabric since you will feel the heat. The bride can choose a simple A-line gown. It can be made from chiffon, silk or sateen. The dress created from taffeta or organza should be avoided because both materials are too thick. Use the flat shoes to make you comfortable where walking around the sandy beach. The bridegroom looks nice with a casual tuxedo. The beach wedding is a good place to have fun. You need to give a great sense of entertainment. Don’t forget to have music for the celebration. 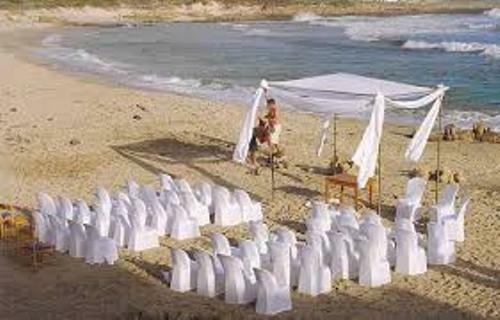 What do you think about the ideas on how to plan a wedding at the beach?